Archbishop Scicluna, during a speech on the first anniversary of the death of dear Archbishop Mercieca, said that Church schools have to respect the religious freedom of all parents irrespective of their religion. This means that if there are non-Catholic students in a Catholic school and it is logistically possible to teach them their religion then this could be taught. In normal circumstances, such a statement should not raise many eyebrows but in this country it does. Read the comments posted on the social networks as well as beneath the news stories to see what I mean. Insults are added to pharisaical scandal and bigotry. A friend of mine who spends quite a bit of time navigating these sites told me that there are many who usually insult the Archbishop whenever he says something which is critical of the government. There is nothing liberal or progressive in the thoughts and attitudes of such supporters. The openness of our Archbishop to those of other faiths did surprise members of his flock who though well intentioned do not agree with his position. One need to dialogue with these people, understand their concerns and address them. The Archbishop is not saying that from next semester Islam or Hinduism will be part of the regular syllabus of Church schools. 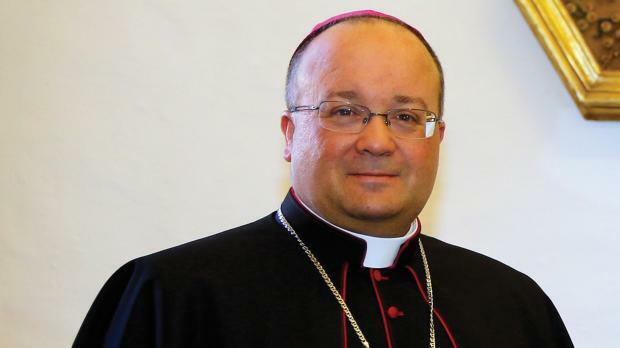 Archbishop Scicluna qualified his statement by saying “if logistically possible” and if the decision is taken autonomously by each school. There will be no imposition. The Archbishop has said that he will not object if schools, where possible, decide to go down that route, as he thinks it is a good route. The Archbishop also stressed that the ethos of these schools will remain a Catholic one. This ethos is communicated to the students by the whole environment of the school not just by the lesson of religion. The atmosphere of the school will remain Catholic. The Crucifix will be present everywhere, Christian festivals will be respected, the liturgy will be present, etc. And more important, all the teaching will be imbued with the Christian ethos. All this has to be repeated and further explained. This is an attitude of respect. This shows that the Church does not discriminate on grounds of faith. Can the same thing be said about government? Up till 2015, the Cana Movement, which does sterling work with couples, was given a subsidy of €70,000 annually. This subsidy has been stopped. The government is now asking NGOs to apply for subsidies for particular projects. As a result, Cana was given some €20,000 or €25,000. Cana can quite naturally apply for more projects. However, I confirmed with non-ecclesiastical sources that Government would not be ready to help fund, for example, the courses that Cana organises for the thousands that opt for a Church marriage. My sources tell me that Government is saying that it does not fund faith-based projects. This is an act of discrimination against the Catholic Church in Malta. The government subsidised the school run by the Muslim community and it should be praised for doing so. Was that school not faith based? There is no comparison to the annual monies given to the Catholic Church for its schools. This is not a subsidy. This is compensation given by Government for the property that the Church passed on to it in the late 1980s or beginning of the 1990s. It was a transaction that benefitted Government as the price of property is always on the rise. Besides, today our laws say that you cannot discriminate, for example, against someone because of the hair on his/her body. This is what the law says. Employers would, for example, land themselves in hot water if they refuse to employ a female receptionist if she sports a beard. And this is how it should be. But it seems that Government feels it is not wrong to discriminate against a project that is partly based on the Catholic faith. I hope that the Church will not be complicit in any way in this discrimination.